CenterPointe Financial Services is an independent Spokane-based financial services firm offering personalized financial planning, investment services and insurance services for busy professionals, families, individuals, and people in transition. We focus on our clients’ needs and strive to tailor our services to meet their immediate and future individual circumstances and goals. CenterPointe Financial Services’ culture is collaborative. This is reflected in the nature of our client relationships and directly stems from our mutual respect for those within our firm. In addition to our advisory team, we take great pride in the knowledge and expertise that our support staff members provide. 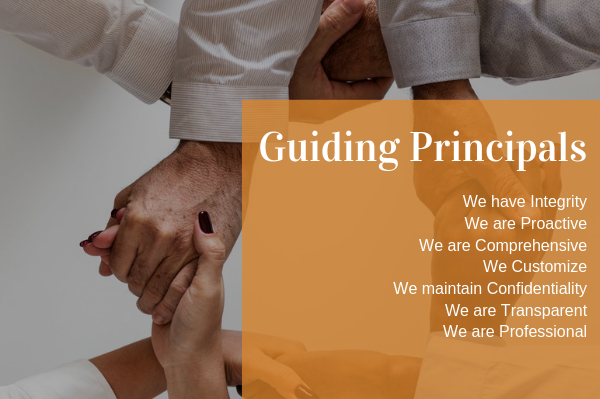 At CenterPointe Financial Services, our relationships with our clients are the most important aspect of our business, and we strive to make every relationship a personal one. Our clients trust us to be a resource of information and guidance. Each client’s goals and objectives are unique, so we focus on helping to develop the most effective and successful financial plan customized to each client. In order to function as our clients' first point of contact for all financial issues, we maintain relationships with other qualified professionals in the areas of tax and estate planning, mortgage banking, legal advice, and more. CenterPointe Financial Services has been providing financial planning services for over 8 years, and we are dedicated to partnering with our clients in the pursuit of simplifying their financial lives.